Situated on Princes Street, overlooking Edinburgh Castle, Hotel Indigo - Edinburgh - Princes Street offers rooms with free WiFi. Set in a period building, there is a traditional restaurant and bar. 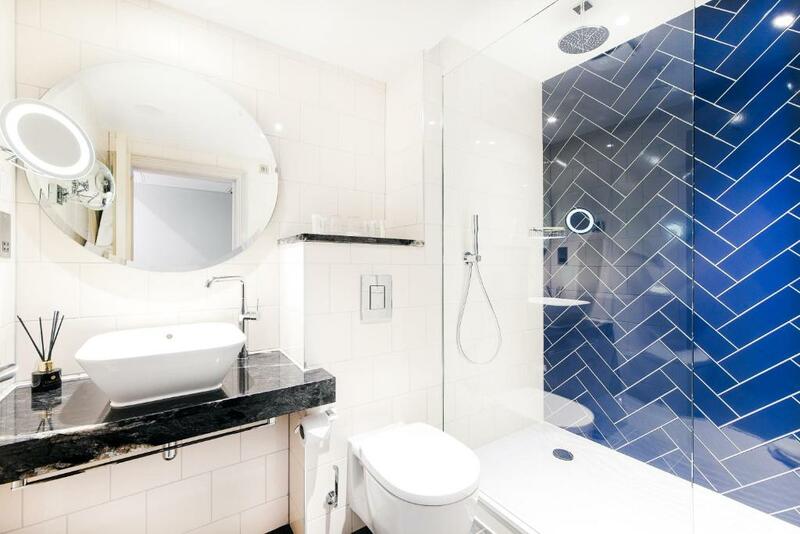 With high ceilings and original windows, the rooms at the Hotel Indigo - Edinburgh - Princes Street each have a private bathroom with free toiletries. Rooms also feature tea/coffee making facilities and a TV, and some have castle views. The Twenty Princes Street restaurant serves a menu specially designed to reflect the wealth of food in Scotland, with locally sourced ingredients used wherever possible. The attached Juniper bar serves a wide range of drinks and cocktails. 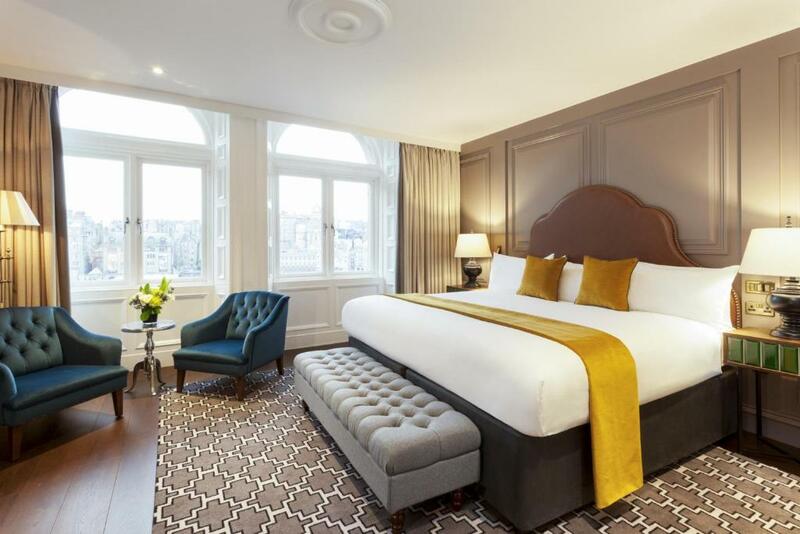 In Edinburgh’s historical centre, Hotel Indigo - Edinburgh - Princes Street is situated opposite Edinburgh Waverley Railway Station. Holyrood Palace is a 20-minute walk away, and St James Shopping Centre is just 300 metres away. Please note that the free WiFi is limited. Guests can enjoy high-speed premium WiFi at an extra cost. 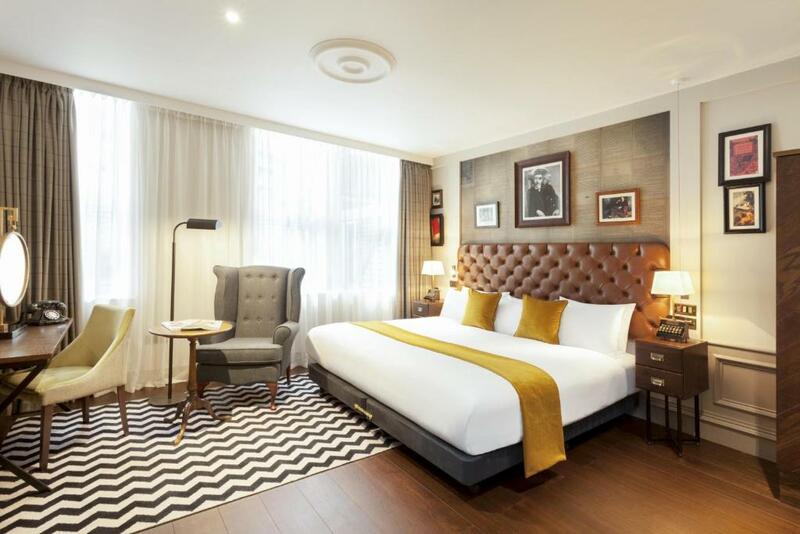 The Standard King Room features a Smart TV, a safe, complimentary soft drinks and a minibar. Guests will find a rainfall shower, Aveda toiletries and bathrobes in the room. This room features a seating area, a Smart TV, and in-room safe, local snacks, complimentary soft drinks, and a minibar. The en-suite facilities feature a walk-in rainfall shower, Aveda toiletries and bathrobes. Guests will find a 42-inch Smart TV, a safe, complimentary soft drinks, and a minibar in the room. 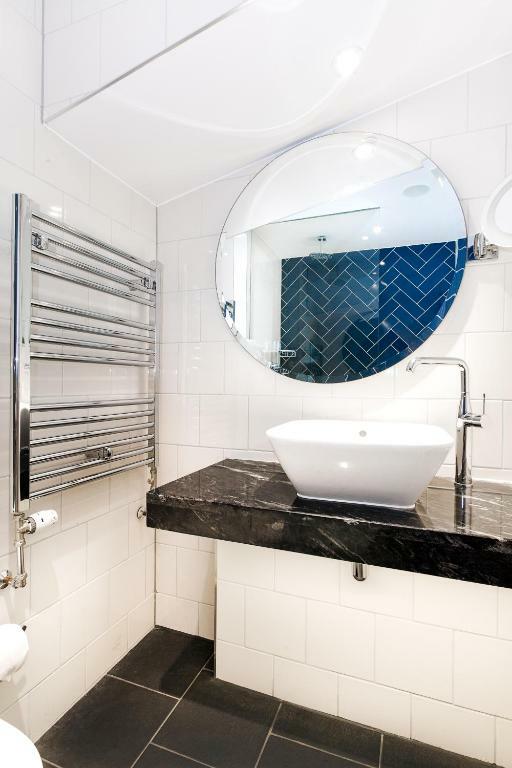 The en-suite facilities contain a rainfall shower and complimentary toiletries. Guests can enjoy views of the castle with this room. The suite offers a TV with international channels, an in-room safe, and complimentary soft drinks. There is also a minibar and local snacks. The en-suite facilities contain a rainfall shower, Aveda toiletries and bathrobes. location, next to Waverly stationThe hotel in general was in need of a total refurb.which was actuallytaking place when we were there.this wasnt however pointed out to us onbooking. There was no residents lounge. The mentioned coffee shop wasntopen, there was no bar .you had to stay in you room as there was nowherecomfortable to sit. The location was excellent on Princes Street. We could see the sign whenwe got off the bus from Edinburgh airport. For a couple who usually getlost at least once when finding our hotel this was a great start to ourstay. The hotel staff were friendly and efficient booking us in in theminimum time and fuss. The rooms were large and comfortable. Great valuefor money. The staff very friendlyalthough we had a refurb room the rest of the hotel had torn carpets and could do with a good hoover. Also we had a meak in the hotel which xcaused myself to be sick as it was so bad. Location is excellent, nice friendly staff. The view form my roon was amazing and i am very grateful for being given such a great roomWe stayed two nights, the first night the room was grubby , bed linen was clean. Second night was our last night in Scotland and this room was nicer than the first but a little ordinary. Location was absolutely fantasticResturant was overpriced. Staf was polite but did know details concerning the VAT refund and did not supply us with the proper forms for refund. The location was great, staff were lovely. Would defo stay here again.First night in a terrible room. The bed had an old and uncomfortable mattress. The room itself was old, worn out and dirty. The hotel is slowly renovating, so we were able to get a better room for the rest of our stay and ultimately were very pleased with the lodging. Great location and friendly staff. Warm and Clean rooms. :)Heater in room wasn't working. Noisy surroundings - couldn't sleep properly at night. Poor lighting in the room. Old fashioned shower. Would have preferred an automatic one. we loved the room and bathroom it was warm and comfortable and beautifully clean with fabulous views and we didn't here any noise even though workmen working on the tram line system were working directly below, the staff were very friendly and courteous and made our staymost enjoyable without being intrusive. thank you for a very enjoyable stay.No lift to 4th Floor, common parts a bit tired, no bar. Comfort and convenience. Close to railway station and city centre sights. price can be accepted and location is very very good.The used sanitary towel in the bathroom bin, the fact that the toilet wasnt attached to the floor so it toppled over when you sat on it and the factthat the managers attitude to this was well no one else has complained so . and then a shrug of his shoulders and walked off.Also the bathrooms were generally dirty! The staff was very responsive when our daugther was sick.The hotel is very close to the main train station, right across the street.The hotel is very old and run down.The room was not clean.The bathroom was antiquated.The water from the sink tap in the bathroom was not potable water and thus we had to use bottled water for the tea kettle, brushing teeth, etc.The hotel provided complimentary water but they were stingy with the small bottles of water. Your experiences are very helpful to other travellers. 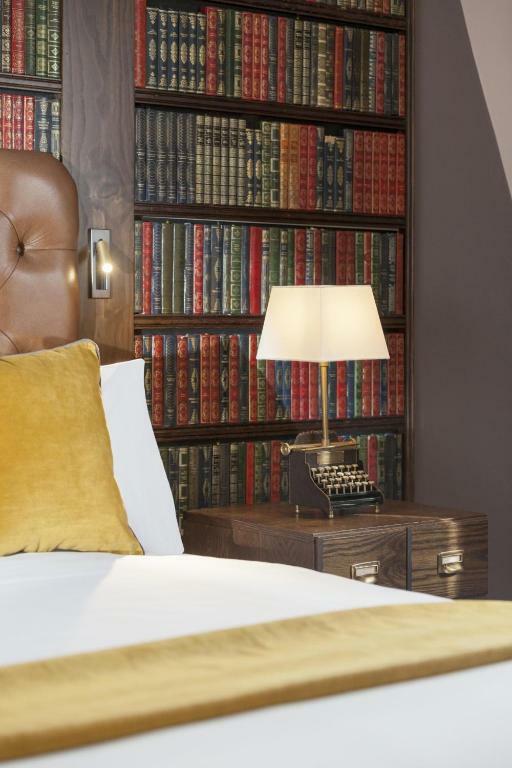 On a scale of 1-5, rate the equipment you have used during your stay at the hotel Hotel Indigo - Edinburgh - Princes Street and express your opinion. Your opinion is important! I certify that this review is based on my own experience and is my genuine opinion of this hotel (Hotel Indigo - Edinburgh - Princes Street), and that I have no personal or business relationship with this establishment, and have not been offered any incentive or payment originating from the establishment to write this review.